While there seems to be an infinite combination of colors and flavors, the ones below have been tested and tried. We think that you'll love them! 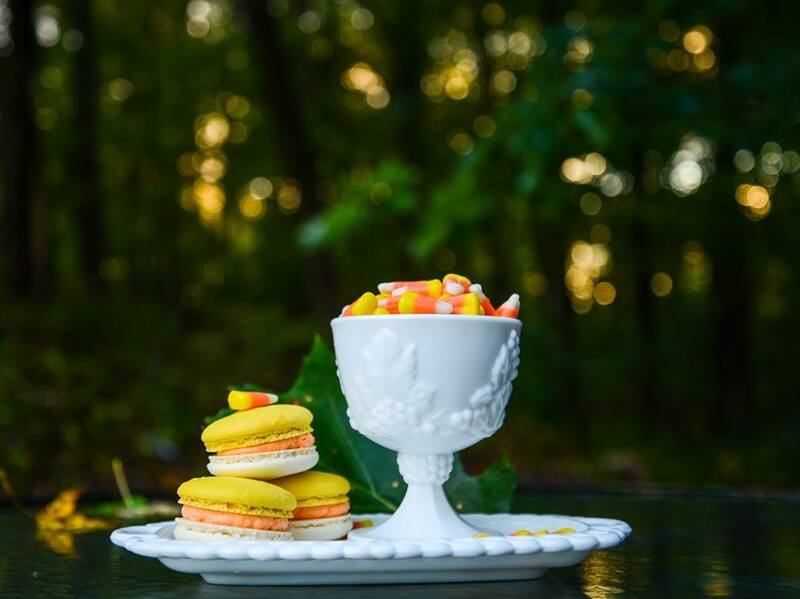 What sets our macarons apart? The centers! We always strive to make our centers with real ingredients, such as real jams, fruits, buttercreams, and chocolates. Have a flavor idea? Let us know! Straight Up Vanilla: Vanilla shell with vanilla buttercream. Vanilla doesn't have to be boring, though. Your choice of colors, maybe even add sprinkles! 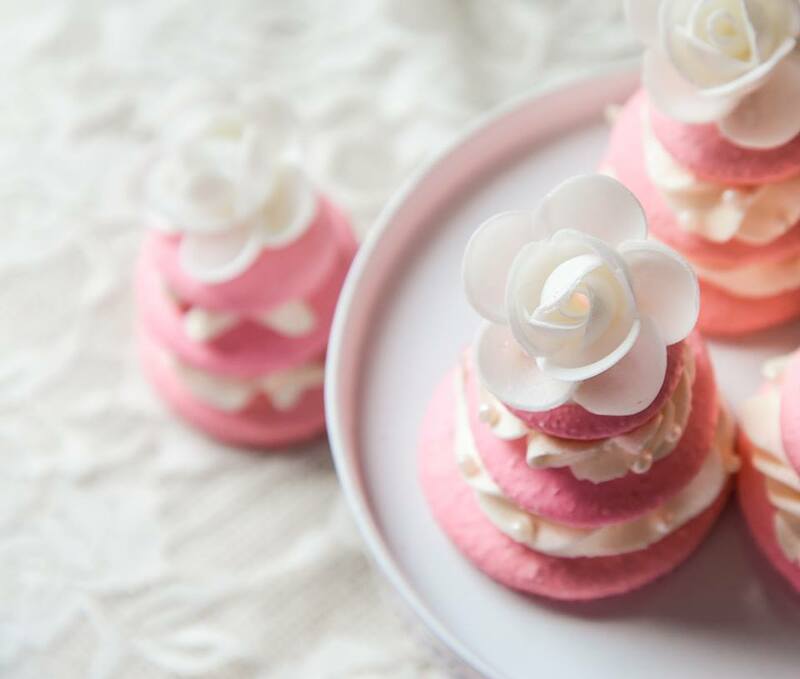 Raspberry Rose: Real rose petals are ground for this macaron. The filling is raspberry mixed with buttercream and a touch of rose water. Blueberry Lavender: Crushed lavender flavors a pale purple shell that is filled with blueberry compote, surrounded by buttercream. This one has a secret ingredient. Strawberry Lemonade: A taste of summer, lemon and strawberry buttercream remind you of sweet summer days. Strawberry Cheesecake: Something magical happens when you put strawberry jam in the center of cheesecake buttercream! Pumpkin: Pumpkin cooked until rich and thick and then stirred into our Italian buttercream...a seasonal favorite! Coffee and Cream: A dark espresso ganache and creamy buttercream make this a favorite macaron! Raspberry Truffle: A dark chocolate ganache mixed with raspberry filling makes this one a fan favorite. Caramel Macchiato: Drool worthy! Homemade coffee caramel mixed with buttercream. Cherry Almond: Maybe we should call this the Whitehouse macaron. Maraschino cherries abound in this buttercream. After your order is placed, you will be contacted about delivery and due date. ..We do not ship macarons at this time..